At The Foam Shop, our service doesn’t stop once you’ve purchased your product. We want our customers to enjoy their purchase for years to come. Our expertise is here to help you get the most out of the products you buy from us. So whether you leave with a new mattress, sofa cushions, a folding bed or custom upholstery, we are here to help you get the most comfort out of your purchase. Our expertise is one of the reasons we’ve been Canada’s Comfort Providers for more than 40 years now. When you purchase The Foam Shop’s high-quality cushions you want them to be comfortable and last a long time. We do too, which is why we spend so much time and effort on quality control for our products. It’s also why we offer you the following tips on how to extend the life and comfort of your cushions. 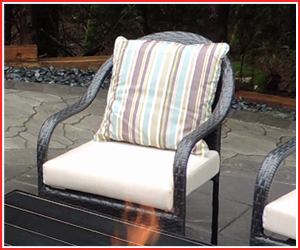 The main difference between indoor and outdoor cushions is their exposure to the environment: specifically to a wider range of temperatures and moisture levels. 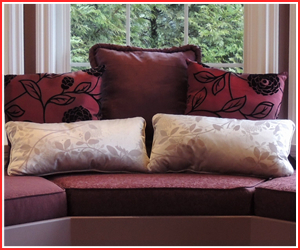 The choices you make when selecting your fabric and foam will affect how your cushions hold up to condition changes.